AcceleDent, Leader in Accelerated Orthodontics®, is an FDA-cleared, class II medical device clinically proven to move teeth up to 50% faster. Simple-to-use and hands-free, AcceleDent is clinically shown to reduce discomfort that may be associated with orthodontic treatment. AcceleDent is the fast, safe and gentle way to speed orthodontic treatment. 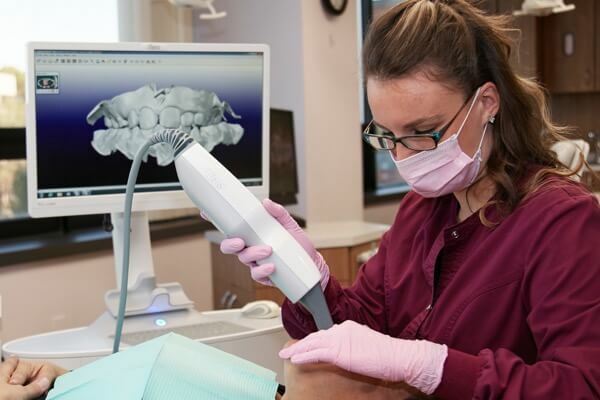 The use of the iTero® scanner allows the orthodontist to take digital impressions of the patients teeth. Patients will have a comfortable, impression-free experience. Enjoy the benefits of a high-tech, chairside experience without the mess and gagging associated with traditional impressions. Using the scanner allows us to be more efficient and can reduce the number of visits to the office, saving you time.